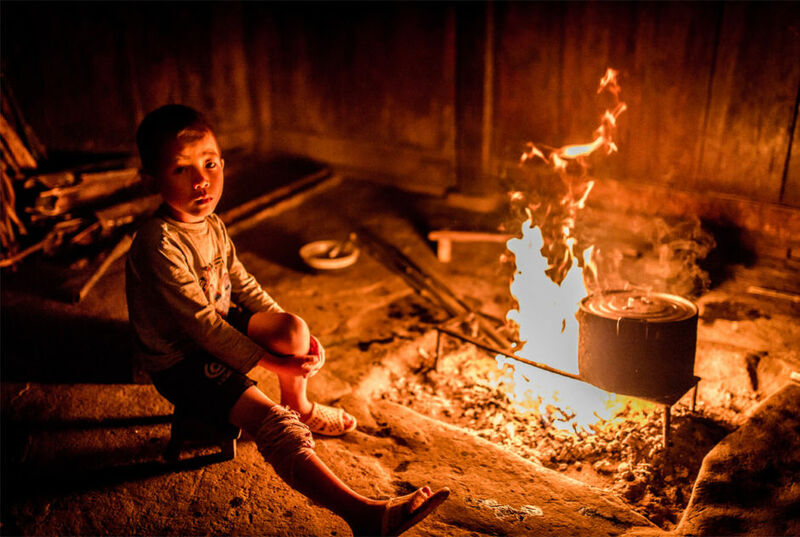 AMONG THE many ethnic minority groups in Vietnam’s Sapa region are the Red Dao and the Black Hmong. These communities, with their independent languages, belief systems and customs from the Vietnamese (Kinh) majority, face steep challenges in how to adapt to the growth of tourism in their region while retaining their traditional culture for future generations. I’ve been involved with a project called CBT Vietnam since 2011. Designed to provide practical community-based tourism training to help villages in the Sapa region. The program’s main goals are to reduce poverty, improve local quality of life, and to help provide authentic cultural and nature-based experiences for visitors, through homestays and other projects. Over the years our team has had the opportunity to build friendships and trust with the local guides and homestay owners in the villages of Ta Phin and Lao Chai. With each return visit, I find myself thinking less about how different life is here in these villages compared to back home, and more about our shared commonalities. There are universal goals and emotions that we each hold: earning a higher income to support your family; wishing your children to be successful in school; and entertaining guests with delicious food and drink. The idea that these local ethnic minority groups are simply ‘exotic mountain people’ far removed from modern culture, puts barriers between building connections. Once you break down those barriers you can open yourself to building the kind of friendships and memories that make travel so rich and rewarding. The village of Ta Phin is home for many Red Dao families. 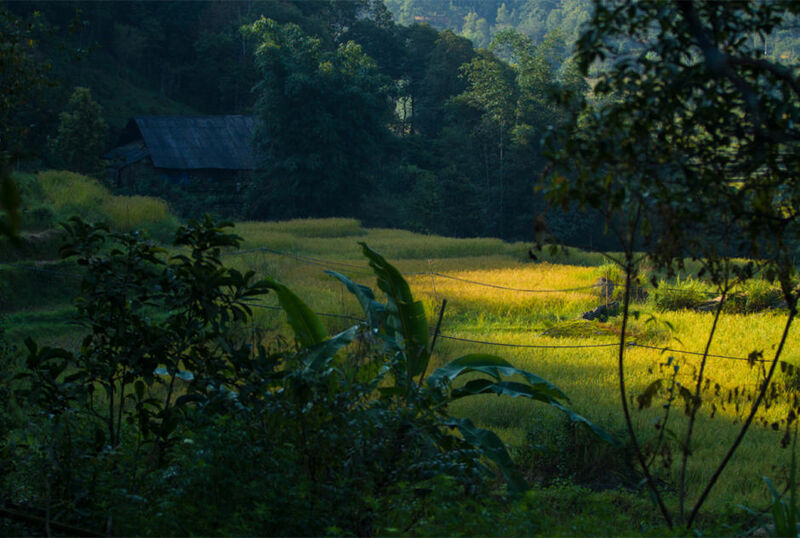 Just a short trek from Sapa, many visitors can hike through the rice paddies en route to this traditional ethnic minority village. Life in these villages has changed with an increase in tourism; however most families still live in traditional homes, often overlooking the rice paddies which sustain them throughout the year. 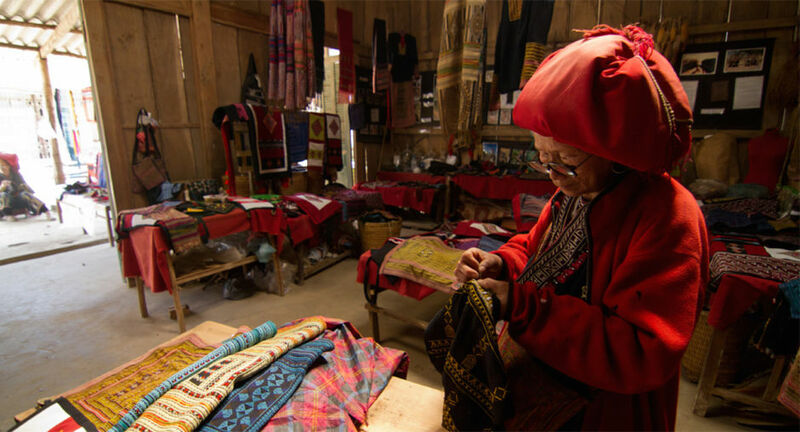 An elderly Red Dao woman embroiders traditional handicraft now popular with tourists. One of the challenges the CBT Vietnam project has tried to tackle is reducing the number of street sellers following tourists. By promoting the creation of new markets, the hope is to have local sellers stop following tourists and instead have a fixed area where they can offer their goods. 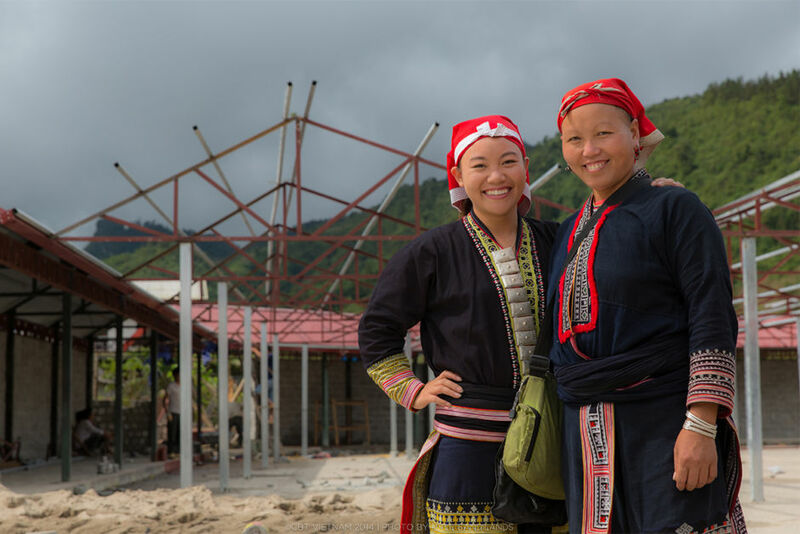 In Ta Phin village, sisters Ly Lo May and Ly Ta May stand in front of a new market under construction. Lo May helped raise over $12,000 to make this dream a reality for her community. Lao Chai village, also near Sapa, is a Black Hmong ethnic minority village. 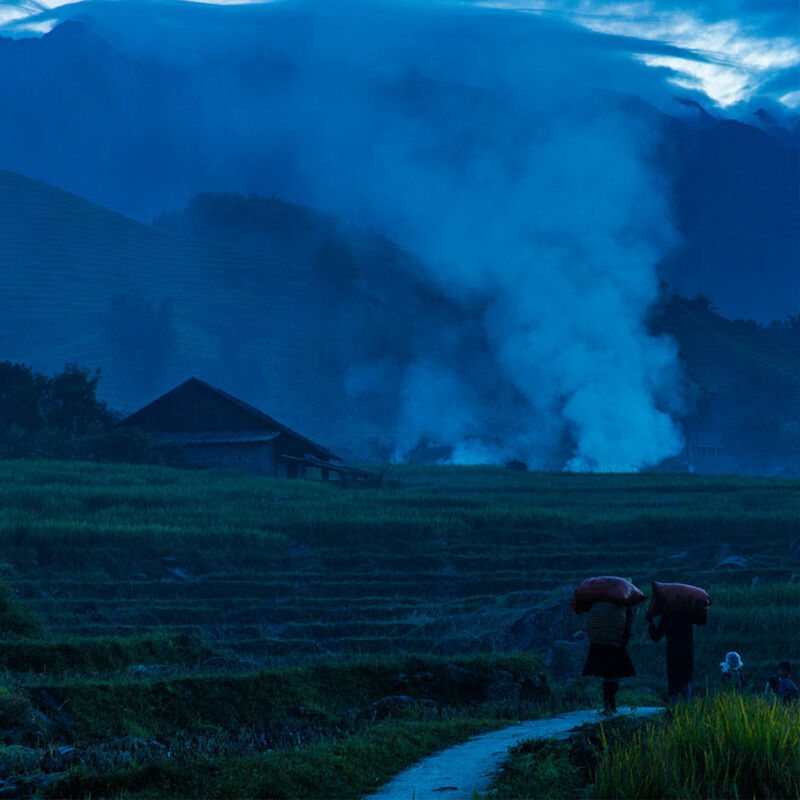 Along the trekking route to Ta Van, where most tourists will spend the night, Lao Chai offers a unique glimpse into traditional Hmong culture. In both Ta Phin and Lao Chai, tourists can spend time in an authentic rustic homestay. Home-cooked meals over a fire, rice wine, and engaging conversation with locals are all possible in this one-of-kind experience. 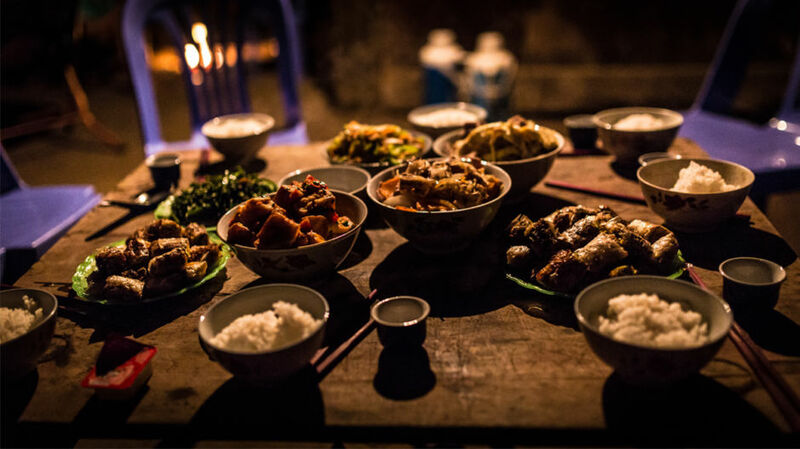 One of the highlights in staying in a traditional homestay is the incredibly delicious food served at dinner. Sharing an authentic meal with a local family in their home is an amazing experience for any traveler. 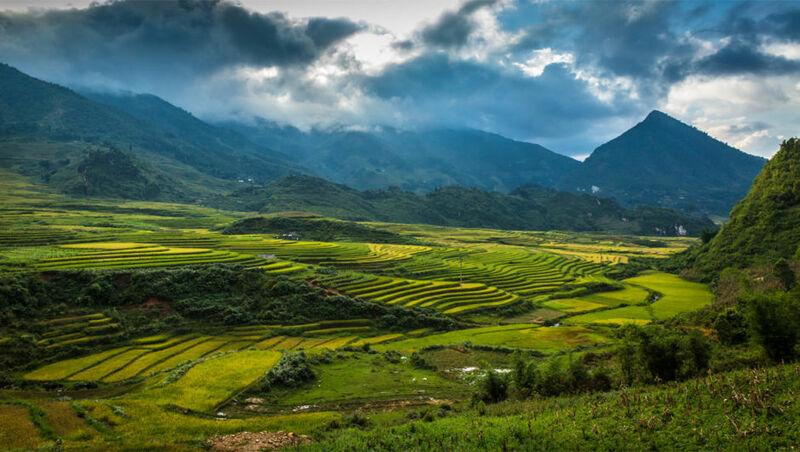 Unlike many parts of Vietnam, the Sapa region only has one rice harvest per year. Tourists visiting between late August to mid-September will witness the rice paddies turning gold. 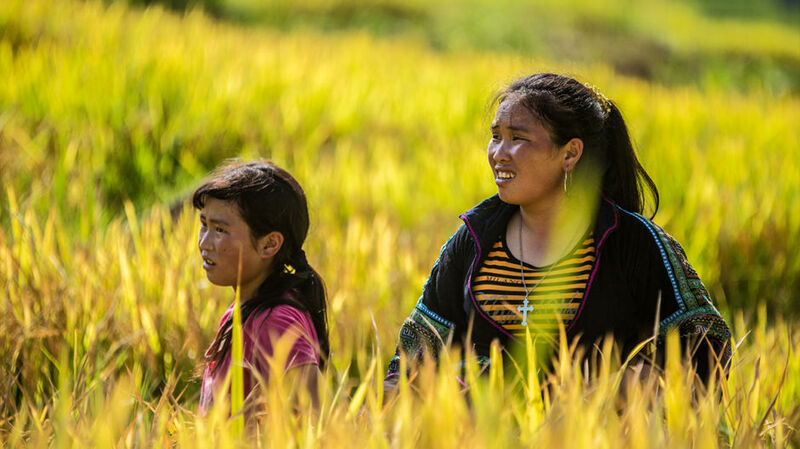 Vang Thi Pi and her daughter (pictured above) begin the year’s harvest outside their homestay. 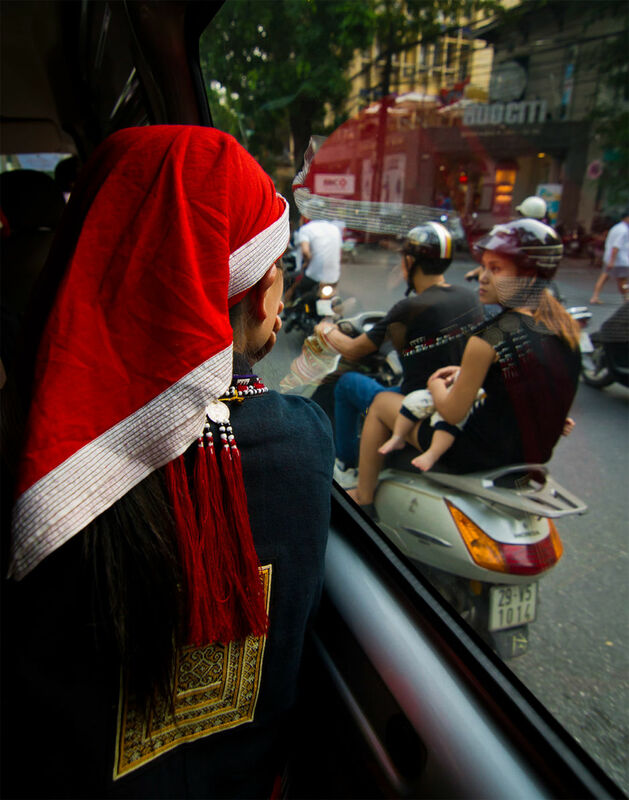 A Red Dao ethnic minority woman from Ta Phin is experiencing the chaos that is Hanoi on her first visit to the city. For CBT Vietnam, a major goal is to see homestay owners from these communities thrive without ongoing outside support. For these women and communities to be truly sustainable they need to connect directly with private sector tourism agencies in Hanoi. 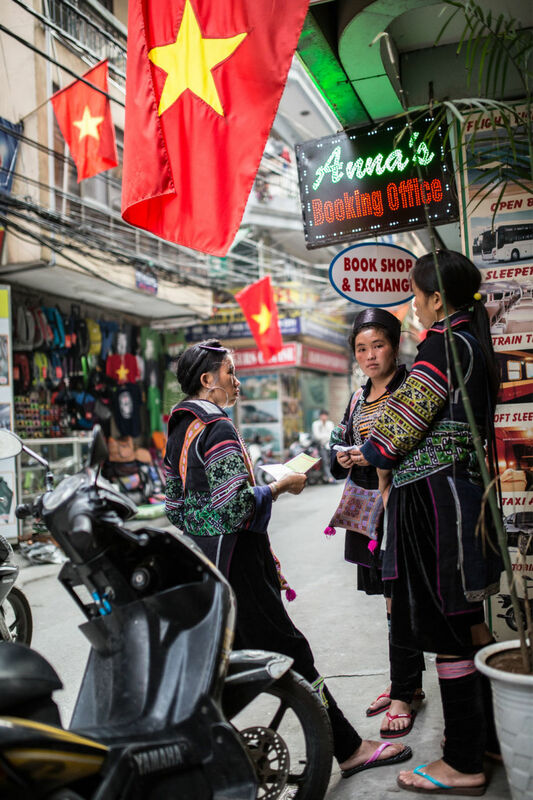 A group of Black Hmong women prepare to network with tour operators in Hanoi. They are small business entrepreneurs running homestays, embroidery shops, and herbal baths, and on this trip, are hoping to build connections in Hanoi. At the Ho Chi Minh Mausoleum in Hanoi, a Red Dao woman named Ly May Kieu finds herself lost in a sea of tourists. Many of these women have never left the Sapa region. The trips to Hanoi offer both a chance for the indigenous people to understand where visitors are coming from, as well as the opportunity to be tourists themselves. In addition, several short films about the local people and their relationship with tourism can be found on the CBT Vietnam YouTube channel here.